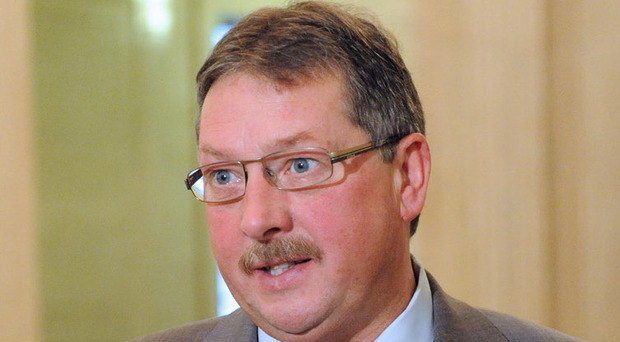 A DUP member has said that MP Sammy Wilson should not be allowed to dictate the party's position on Brexit. Former Chairperson of the South Belfast DUP David Cather said that Mr Wilson's hard line on Brexit risked steering the party towards a no-deal situation. The East Antrim MP is currently the party's Brexit spokesperson. Mr Cather said that he was one of a small number of DUP members who favoured remaining in the European Union. The DUP campaigned for Leave in the EU referendum vote and the party's stance has hardened since the referendum result. Prime Minister Theresa May relies on a confidence and supply agreement with the party to keep her in power, which has handed the DUP significant influence on Brexit negotiations. Alongside Tory Brexiteers, the party oppose the backstop plan, designed to prevent a hard border in Ireland. The DUP believe it will create a trade border in the Irish Sea and could leave Northern Ireland tied to the EU indefinitely. The issue has been a repeated sticking point in Brexit negotiations, with Mrs May vowing to secure changes to the backstop ahead of Brexit on March 29. Mr Cather told BBC Radio Ulster he had been working to change minds in the DUP on Brexit, but admitted that he had not been making any progress. "It does disappoint me, it has been a frustrating couple of years to be in the party," he said. "I think that the people who really want to leave have been given too much control over the direction. Sammy Wilson does seem to be steering it. "When we announced our position on the referendum our leader's statement sounded like we would be a broad church and there would be different opinions within the party. 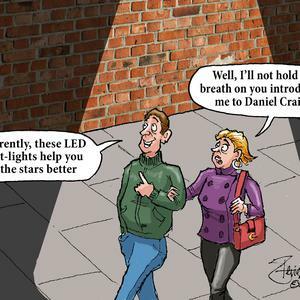 That never really materialised and suddenly we ended up taking out adverts in London, which was a very surprising move." The DUP member, who has never held elected office, said that he believed a no-deal Brexit could be avoided. "Theresa May seems to be running the clock down towards a black and white choice (between her deal and no deal)," Mr Cather said. "Sammy Wilson's choice, I think, would be no deal. I think we probably shouldn't let him set that for the ten MPs at Westminster. "No deal is the worst case scenario, the backstop is not a good deal either. Now is the time to be pushing for the natural majority in the House of Commons, for a customs union deal." Mr Cather said that he believed there were others in the party who supported his position. "It's a small minority, the party is overwhelmingly in favour of Brexit. I think there's a sensible number of people in the party who perhaps don't want the hardest possible Brexit," he said. Mr Cather said that he suspected that included "some big names", but could not say who. "It's possible to be in a political party and not agree with them on everything. It's an issue that will pass, we won't always just be talking about Brexit. Kenneth Clarke and Jacob Rees-Mogg on either wing of the Conservative Party don't really agree with Theresa May's line but they remain Tory MPs," he said. "I don't really think you have to leave a political party just because you disagree with them on a political issue. "Nobody has pulled me to one side and said you've got to stop doing this, everyone imagines political parties have this 'Gestapo' in the background that goes around dealing with dissenters." He said that his own view was that remaining in the customs union was the best solution. "I agree with Arlene Foster, she said the important thing is we don't break up the United Kingdom and she seems open to either a soft deal or hard deal which achieves that," Mr Cather said. "I think that sensible heads in the party, my view is that we should stay in the customs union. I think there's a majority for a customs union deal and I think it removes the problem of a border down the Irish Sea or at Newry and Strabane."